Machine Work. Lathe, boring, etc - we do it all. Welding. Cutting, welding, etc - we do all of that, too. Car Rim Repair. Jackson potholes bringing you down...literally? 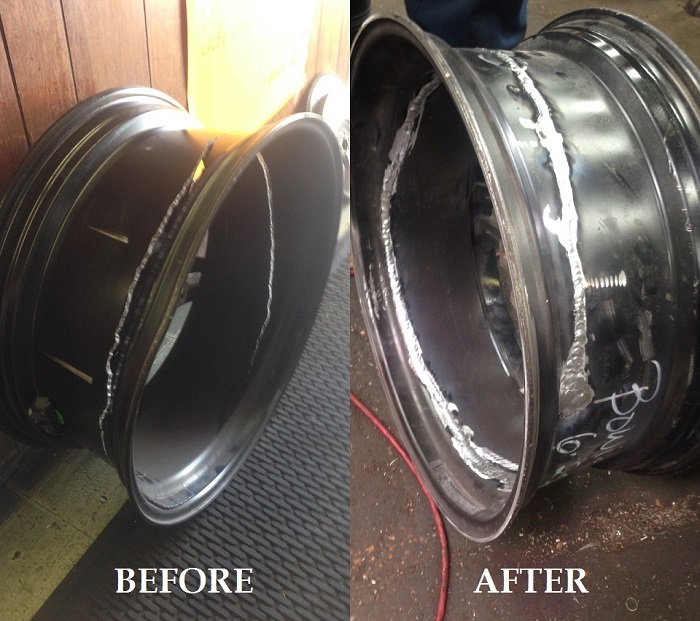 We can fix any cracked rim you bring us; see our work below. Home Remodeling Supports. Love that open air feel, and need I-beams for a home remodel? We can order, ship, and weld them into place on-site. Say you can't drag a 100 ton project to our shop; what then? We come to you! We can come to your site and weld anything you need. Mileage and materials may apply. Call for pricing!